What an exciting month! We’ve been preparing for my daughter’s baptism, I had my first Etsy sale, and had an amazing 4th of July BBQ. Now that the excitement is over, let’s get down to business! While my BF was out of town working, we got bored and then creative! We decided to play with bleach and jeans. Grandma had given us a box full of already cut quilt squares made from jeans. 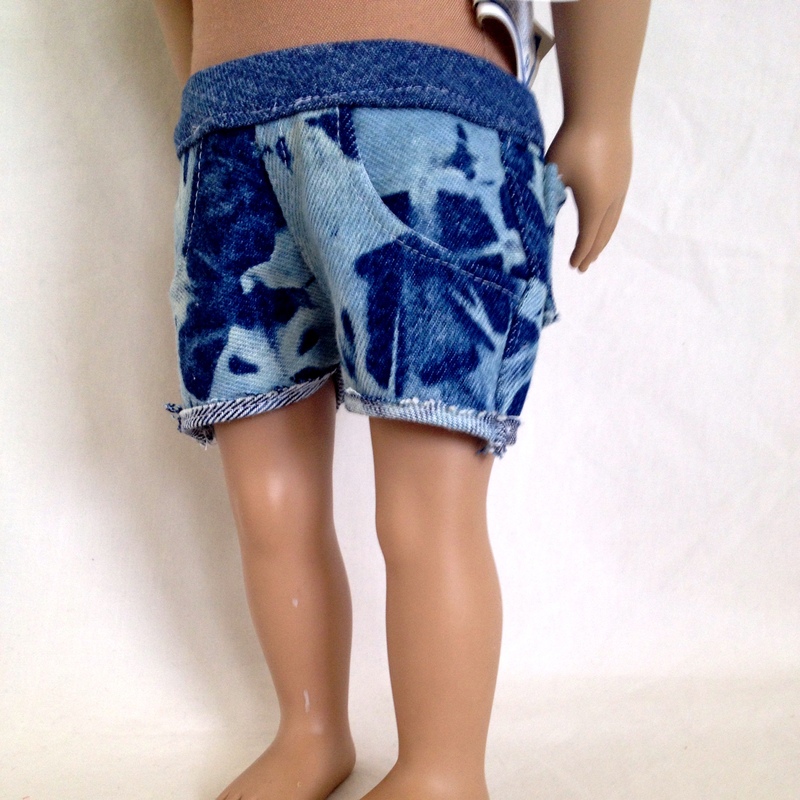 Then Pixie Faire gave away the Cut Off Shorts for 18 inch dolls by Liberty Jane Clothing one Freebie Friday. Put those two together and BAM! 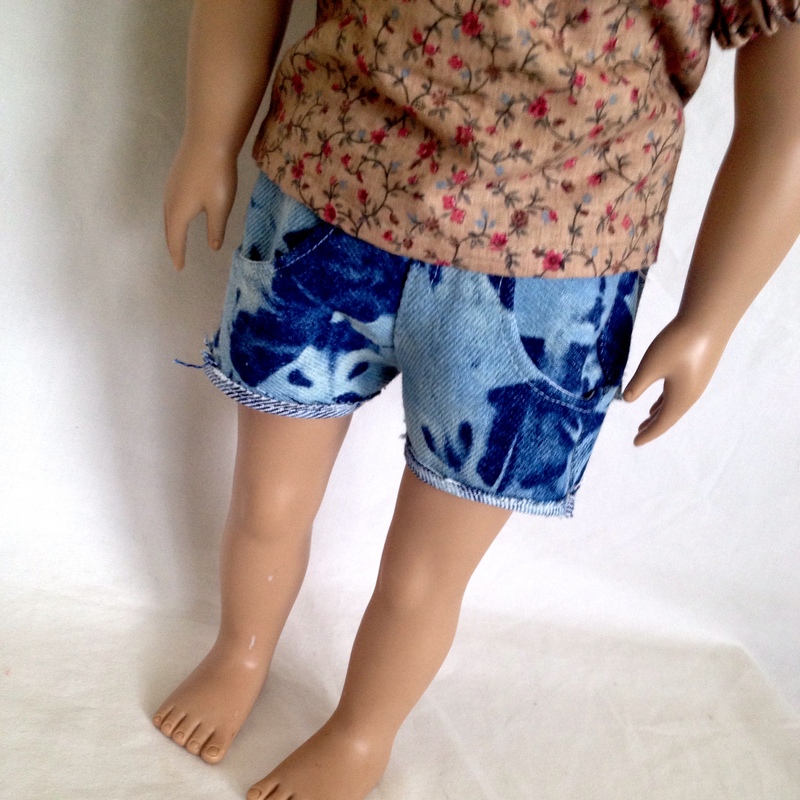 Upcycled Cut Off Shorts! To make it even better, we bleached them! To start off, I mixed some hot water and bleach into a bucket. Then we took the jean squares and bunched them, fan folded them, and twisted them. Next, we held their new shape with rubber bands and dunked them into the bucket of bleach water. I let these sit for about 3-4 hours while stirring them around here and there. After that, I rinsed them and took off the rubber bands. If you are sensitive to bleach, you may want to wear rubber gloves during this process. Then I took them to the tub and washed them with laundry detergent. I used the tub because I feared they would fray a lot more in the washer. I did end up using the spin cycle on the washer to wring out the rest of the water. 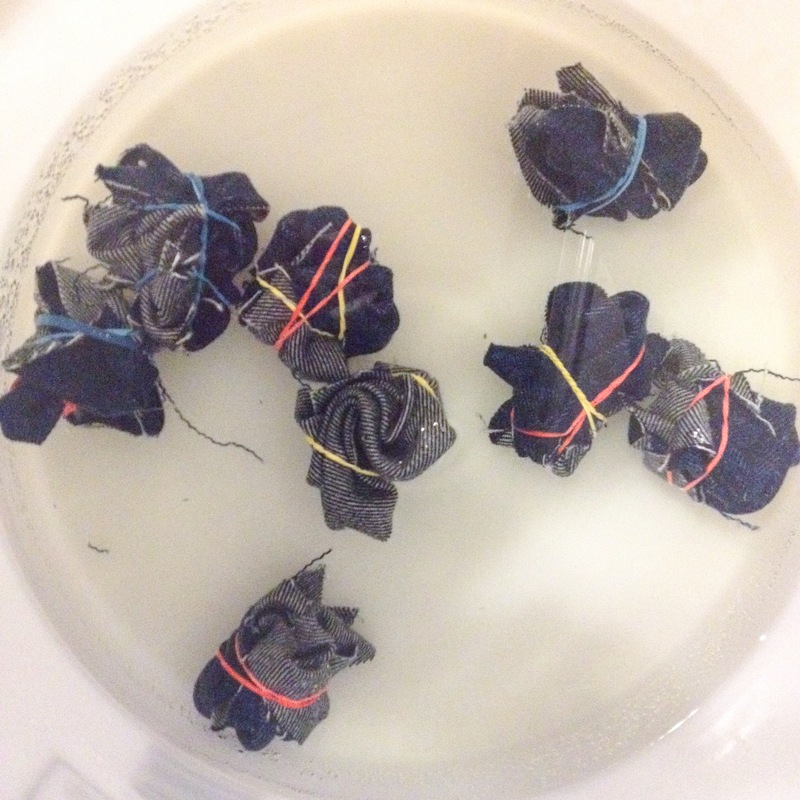 Next, I threw them into the dryer for about 30 minutes. Look at how they came out! All rolled up! Last, I ironed them flat. 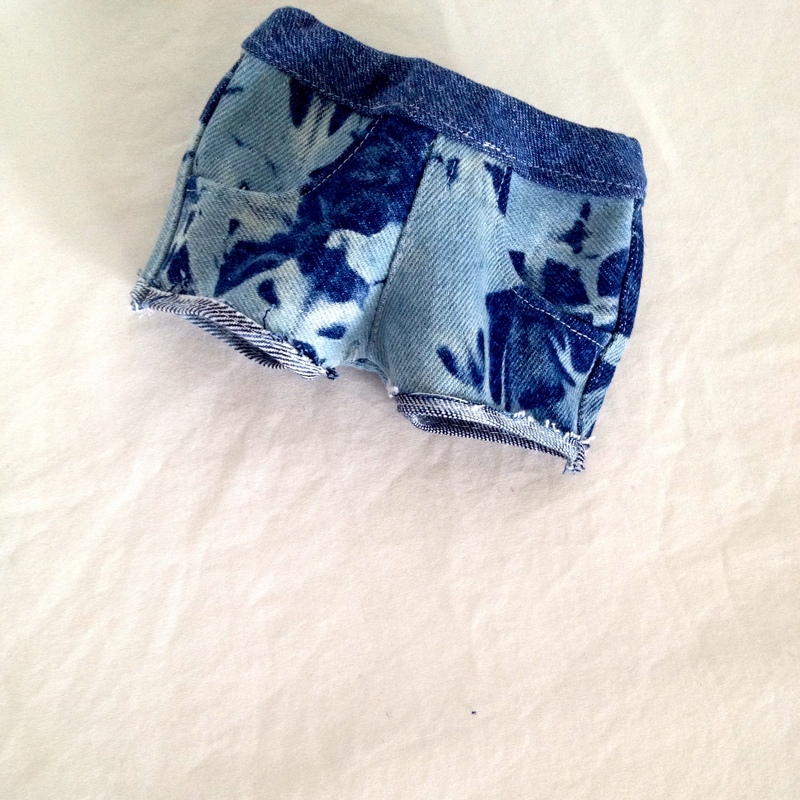 The cut off shorts turned out so cute! Beware, it’s about to get picture heavy. 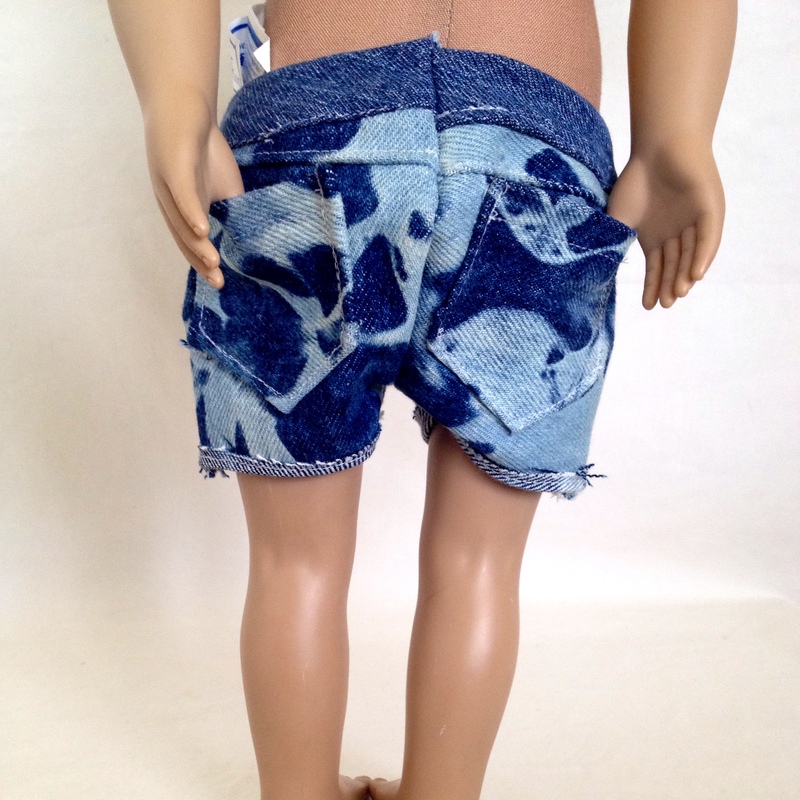 Yes, each piece was cut out of 6″ jean squares that were hand tie dyed. A crazy amount of time has been put into these shorts. I think the next project with the remaining dyed jeans square may be a quilt of even a purse. 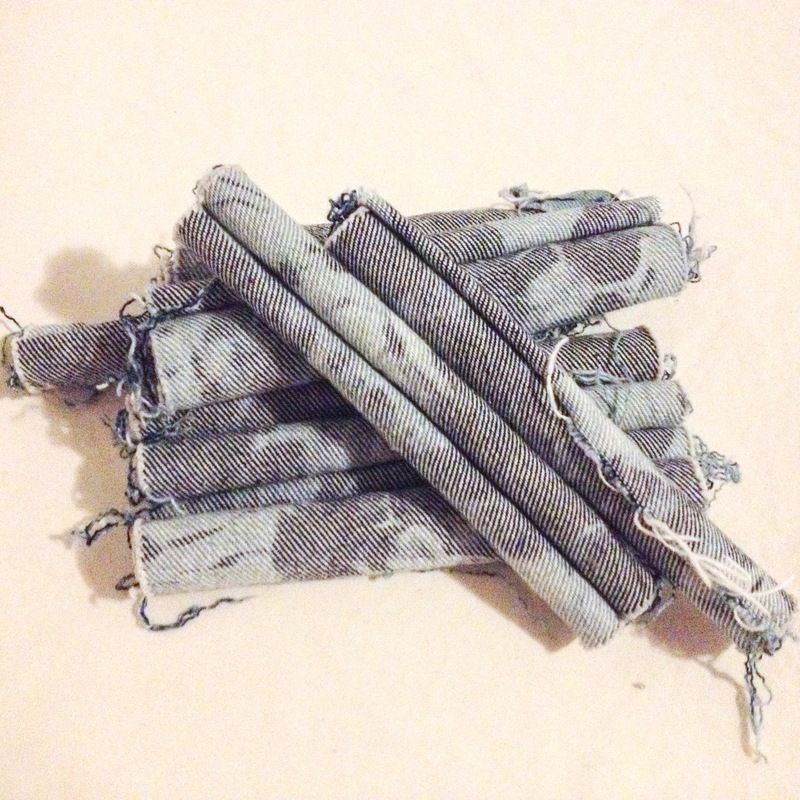 I hope you have enjoyed this post as much as I enjoyed bleach dyeing these jean squares! 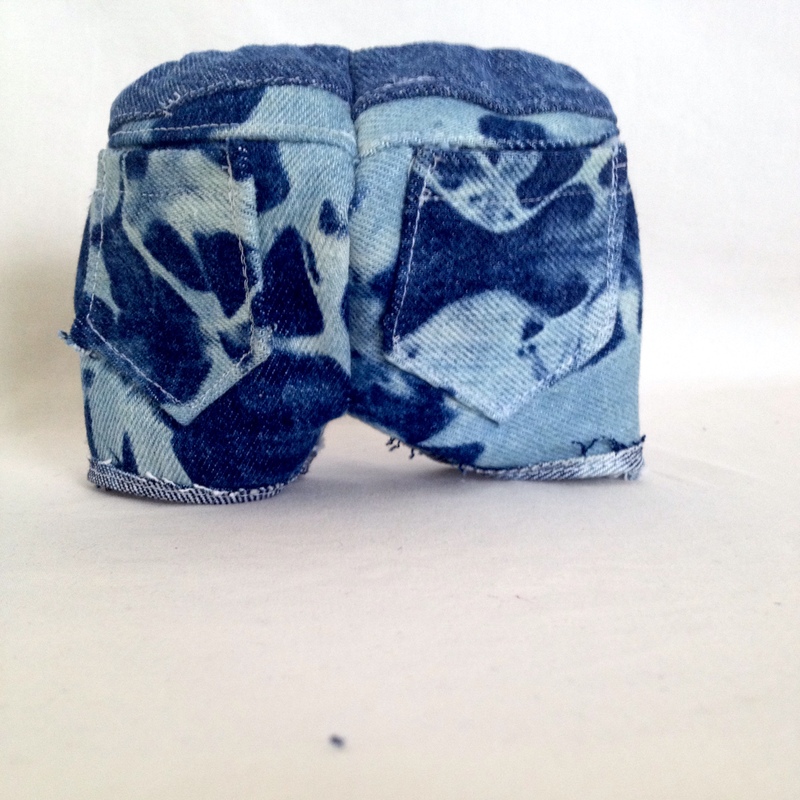 Send me a picture of what you have made with bleached jeans. I would love to share it!